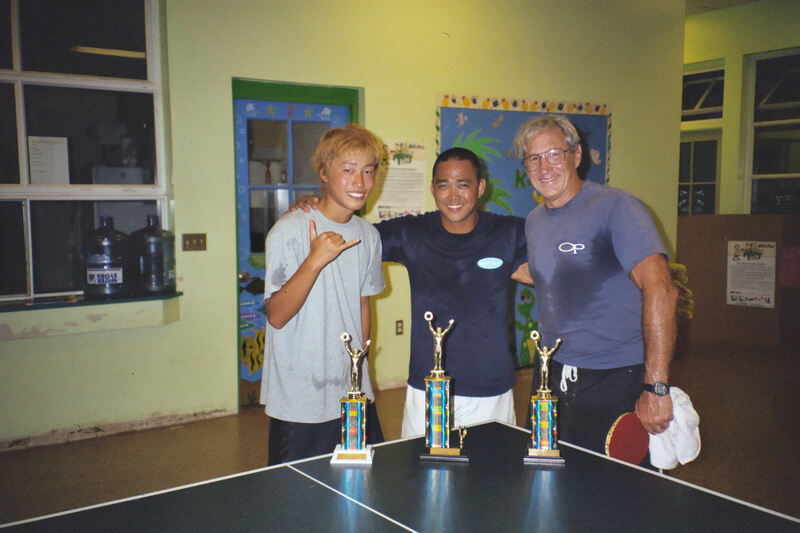 The 2005 Maui Table Tennis Tournament was held on Thursday, April 28th at the Kihei Youth Center, and on Saturday, April 30th at the Lahaina Civic Center. For more information email Ben Tone. 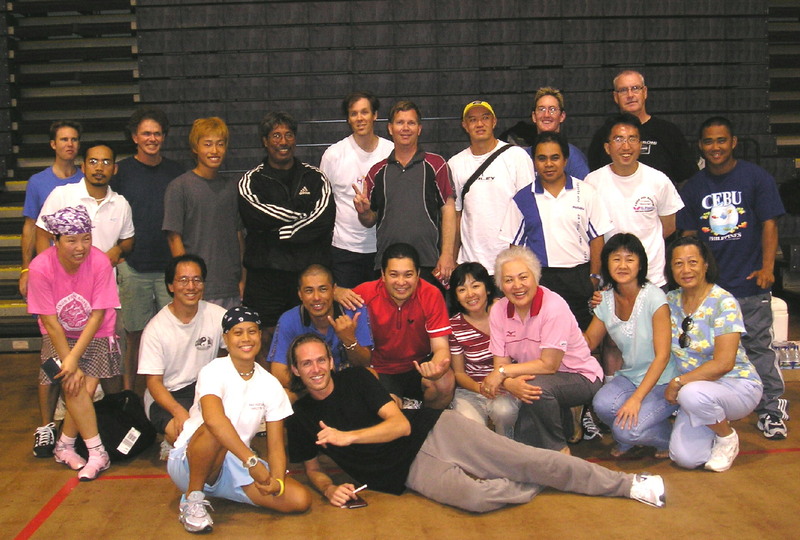 Left to right: Atsushi Yamamoto, Gener Baysa, Dane Jay Barnhard. 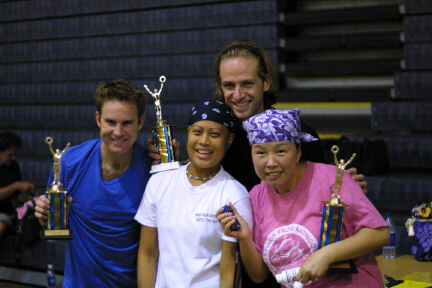 Top: Frank Soler, Bottom Left to right: Todd Meadows, Ashley Tone, Ying J. Greenberg.